Candida albicans is an opportunistic yeast that affects 70 percent of the population, according to research from Rice University, and can have serious consequences on one’s health and day to day activities. The reasons for the spread of this particular fungus are quite varied, but most people affected are so due to an unhealthy lifestyle, including Standard American Diet (SAD) choices. Like many fungi, Candida albicans develops in your gut and it has a number of symptoms such as extreme fatigue, intestinal discomfort, bloating, foggy brain, insomnia, joint pain, bad breath, and possibly even irritable bowel syndrome, IBS, if left untreated for too long. There are certain things that you can do to keep Candida under control or to prevent it if you feel like you might be at risk. There is something known as the ‘Candida Diet,’ which is often recommended to sufferers, however, another remedy that can help is essential oils. Here are four essential oils that are effective in the treatment of Candida and their effectiveness against it. Peppermint has long been known for its antifungal properties and it has been used successfully in attempts to battle Candida. Peppermint oil is effective in this regard because it can either reduce or completely eliminate, the nine enzymes that are essential for untreated yeast to grow. Peppermint has a cytotoxic effect on these yeasts and will cause the fluidity of their membranes to collapse, essentially killing them. Peppermint is especially effective against oral thrush, which is also a common symptom of Candida albicans. Peppermint tastes great in a variety of foods and drinks, so it shouldn’t be difficult to incorporate this into your diet. Tea tree oil is another very popular essential oil and there is a wide variety of beneficial ways that you can use it on your body. However, please note that Tea Tree oil is poisonous if swallowed and should be avoided near the mouth or by ingestion. Tea tree essential oil, also known as Melaleuca, is beneficial for your skin and hair and can treat certain skin conditions; it’s a very effective antifungal. There is a wide variety of bacteria that this oil can slow down the growth of which; essential since bacteria can cause numerous diseases, ranging from pneumonia to strep throat. In addition to being helpful for keeping Candida at bay, Tea Tree oil is a good thing to have on hand due to its many benefits and can also be used in household cleaning and a deodorizer and insecticide. Clove oil is extremely powerful in the fight against Candida. It’s a very potent oil in general, so it should always be diluted before use. The reason clove is so effective at killing Candida is because it’s rich in a particular compound called eugenol. Eugenol is a strong antiseptic which means that it is very effective in tackling microorganisms. This allows it to reduce the Candida in your system to virtually nothing. Even the most powerful of Candida strains such as those that are resistant to fluconazole, a noted antifungal medication, is no match for clove oil. What makes lemon so popular as a flavoring, besides tasting great, is it’s many health benefits. Lemons are antiviral, astringent, antiseptic and anti-inflammatory, and the most important one for this topic being antifungal. This antifungal property is most effective in your gut. There are several different acids inherent in lemons which are effective in breaking down food. If your digestive system is more efficient, it’s less likely that fungus will be able to grow and thrive there. Hence, it’s important that your body can break down food as easily as possible. Lemon can be taken a variety of different ways and can be used in a number of recipes so it’s an easy essential oil to include in your diet. 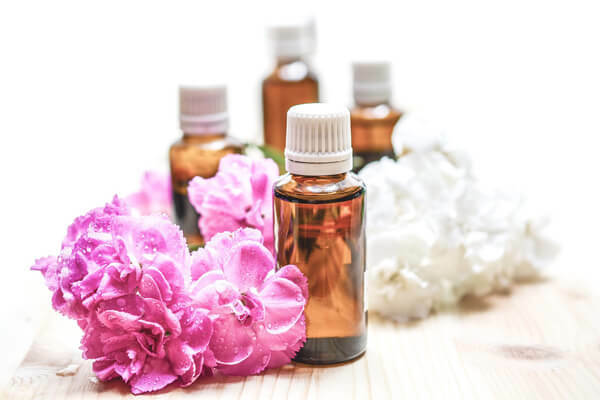 If you’re experiencing symptoms of Candida – or have been diagnosed – speak with your physician about implementing these essential oils as a natural remedy into your diet. Notorious for their antifungal properties, they could prove beneficial in your fight against Candida when used as directed. What brand of essential oils do you suggest? I want to underline Ron and Lisa’s caution to, “speak with your physician about implementing these essential oils as a natural remedy into your diet,” and “use as directed,” and I will illustrate why. I was advised by a friend who is a Certified Aromatherapist that internal use of essential oils should only be done under the supervision and guidance of an appropriate professional i.e. a Certified Aromatherapist or Naturopath trained in their use. Some oils can be used in foods, but they are extremely diluted in said food (culinary plants such as lemon or orange). Also, some brands have contaminants in them, so your Aromatherapist will have knowledge of brands that are from organic sources, and have been tested by independent labs and shown to be free of contaminants including toxins. I don’t discount the benefit of essential oils, but many are very potent and have potential for detrimental effects (if not immediate – in the long run). I used to buy reputable brands of tea tree oil for first aid and household disinfection. I was fine for many years, but suddenly developed a very serious allergy to it. Now, if my skin comes in contact with something containing tea tree oil, I have a very serious reaction to it. So serious, in fact, that a dermatologist was compelled to take photos of the site where I did a patch test (allergy test) 3 weeks later. When I did that test, I was unable to leave the oil on my skin for more than a minute because it burned so badly (normally a substance is left in place several hours for such a test). I then ended up with huge water blisters and a burning red angry reaction that took over a month to go away. I had to keep it covered because any part of me that touched this initial site, or even a secondary site would also react. With my last therapeutic use of tea tree oil (for athlete’s foot), my feet were swollen with weeping blisters for over a week, I could not wear shoes, and I also ended up with hives slightly larger than the size of my palms in very embarrassing places. Needless to say, I still use and love essential oils, but I am very careful. Do you use a carrier oil when applying to skin? Some oils I do use with a carrier, but I can never use Tea Tree oil at any dilution ever again. Thank you for sharing Elaine! Something similar happened to a relative of ours. We can’t stress the importance of using the oils carefully and as directed. Even with that, many people have allergies and/or sensitivities and need to take extra caution.